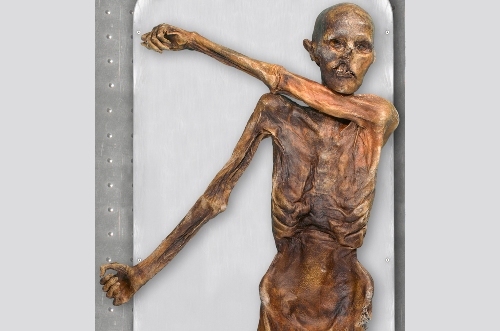 In 1991, Otzi was discovered in Ötztal Alps. The location was near Similaun Mountain and Hauslabjoch. It was on the boundary of Italy and Austria. He was nicknamed Otzi. 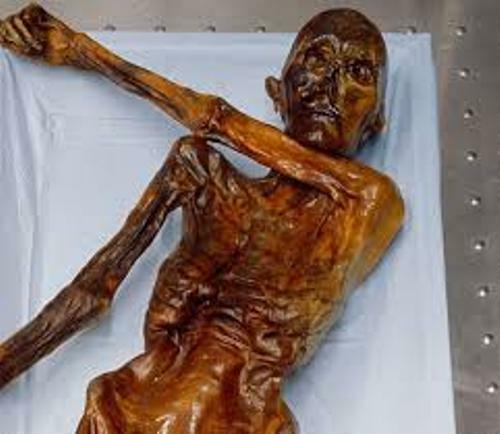 Till this present day, Otzi is still considered as the oldest natural human mummy ever known. Chalcolithic Europeans gave the mummy an extraordinary point of view. You can go to South Tyrol Museum of Archaeology in Bolzano, South Tyrol, Italy if you are interested to look at the body and belongings of Otzi. Otzi the Iceman Facts 4: who discovered Otzi? If you think that Otzi was discovered by an archeologist, you are wrong. Actually two German tourists founded Otzi on 19th September 1991. Otzi the Iceman Facts 5: where did they find Otzi? The two German tourists found Otzi at the height of 10,530 feet or 3,210 metres. The location was between the Austrian and Italian border. The mummy was located in the Ötztal Alps on the east ridge of the Fineilspitze. Otzi the Iceman Facts 6: who were the tourists? The names of the two German tourists who discovered Otzi were Helmut and Erika Simon. At that time, they walked around the path of Hauslabjoch and Tisenjoch. At that time, the tourists believed that it was a body of a dead mountaineer. Check facts about temperate forest deciduous biome here. The attempt to remove the body was performed by the keeper of the nearby Similaunhütte and a mountain gendarme. 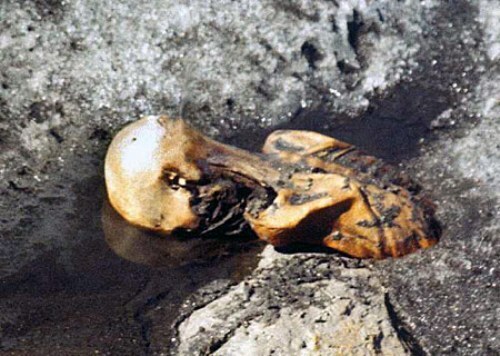 They used ice axes and a pneumatic drill to remove the body since it was frozen in ice below its torso. However, the bad weather made them give up removing the body. Find facts about Tantalum here. The body finally was removed after eight of people visited the area. Hans Kammerlander and Reinhold Messner were the notable mountaineers included in the group. Konrad Spindler was the archeologist from the University of Innsbruck who examined the body for the first time. Based on its typology, the object probably was around 4,000 years old. It was estimated that Otzi was around 45 years old when he was. He had the weight at 110 lb or 50 kg. The weight of the body when it was discovered was 30.31 lb. 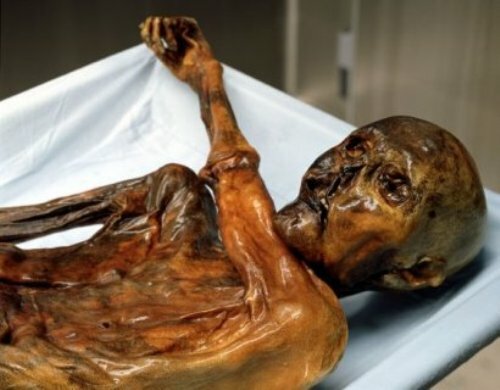 Are you interested reading facts about Otzi the Iceman?